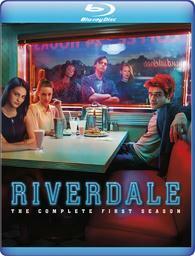 Based on the characters from Archie Comics, Riverdale gives a subversive take on small-town life. Things aren't always what you expect in Riverdale. As a new school year begins, the town is reeling from the tragic death of high school golden boy Jason Blossom. The summer's events made all-American teen Archie Andrews realize that he wants to pursue a career in music, but his fractured friendship with Jughead Jones, and Josie McCoy's focus on her own band leaves Archie without a mentor. Meanwhile, girl-next-door Betty Cooper is not ready to reveal her true feelings for Archie, and new student, Veronica Lodge, has an undeniable spark with Betty's crush. And then there's Cheryl Blossom, Riverdale's queen bee, who stirs up trouble amongst Archie, Betty and Veronica. But is Cheryl hiding something about the mysterious death of her twin brother, Jason? Riverdale may look like a quiet, sleepy town, but there's so much more to the story.